(W) Loren Bouchard, Cole Bowden. 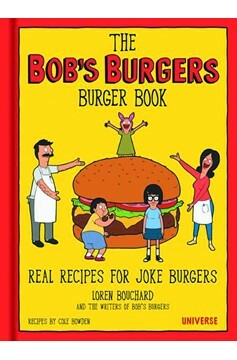 The Bob's Burgers Burger Book is the first and only pun- and calorie-heavy cookbook based on Fox's Emmy-winning animated hit. These never before seen laugh-out-loud grill-ready burger recipes, specially written by creator Loren Brouchard and based on star Bob Belcher's specialty Burgers of the Day, will have the show's ravenous fans salivating with hunger and hilarity. 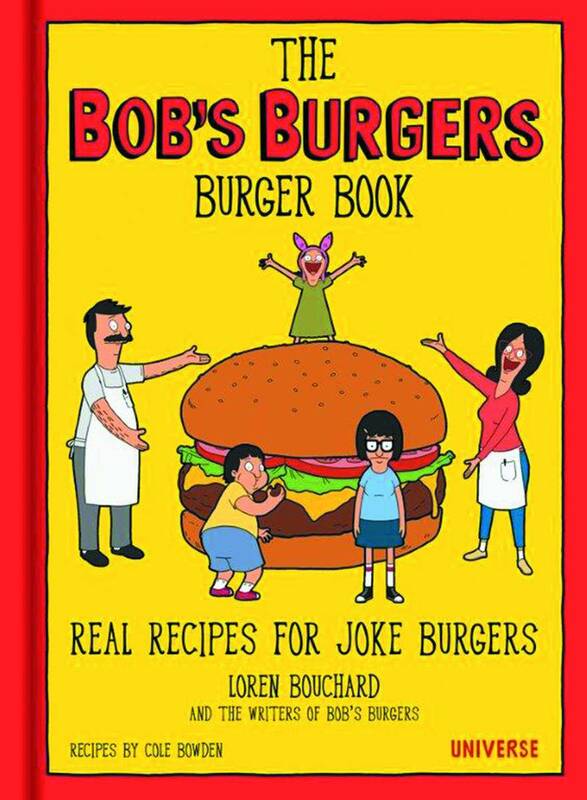 The Bob's Burgers Burger Book gives burger-loving fans their only chance to eat one of Bob Belcher's beloved specialty creations in 75 original, practical recipes for the hilariously named burgers by fan-favorite blog 'The Bob's Burger Experiment. '.